Since 1975, Starwest Botanicals has been sourcing herbs and spices. Their focus started as a small retail herb shop and grew quickly with demand. Starwest Botanicals products include organic herbs and spices along with essential oils, teas and accessories. Their company story is a fantastic one. I suggest reading the Letter from the Founder. There you will learn all about how Starwest Botanicals got their start in 1975. You will immediately be hooked to their company values and commitment to quality. Healthy, natural living is what most of us strive for. Seeking out great products to support that lifestyle can be overwhelming. This is why placing your trust in companies that know about quality is so important. 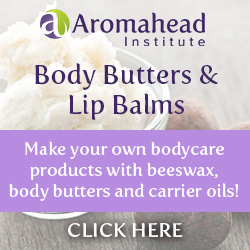 From natural body care to what we eat encompasses healthy living and leading a natural lifestyle. The selection of organic products is impressive. 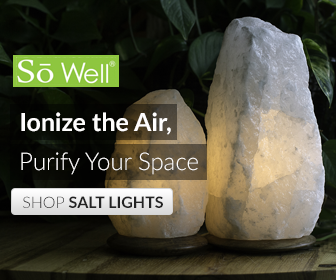 They offer bulk products, organically labeled products, essential oils, and all the accessories you need for the home. A DIY dream shopping site! This is also a DIY dream shopping site! From the ingredients for any DIY recipe to the packaging. It’s a one stop shop. I came across them when looking for dried lavender for a soap recipe. Then, I was mesmerized by the rest! They had all the ingredients I needed, and I mean ALL! Why not get the good stuff? From one company that stands behind their products with a satisfaction guarantee. AND, they offer a FREE SHIPPING method for orders exceeding a certain order amount. In the US the free ground shipping amount is over $75… Retail orders to Alaska, Hawaii, Puerto Rico or Canada have a over $150 free shipping amount. The free shipping to Canada offer is exciting for me as that is where I live. Finding a company that offers free shipping to Canada is tough. So, we have a combo of quality products, a wicked selection of products a great company and free shipping. It is a win all around! Check them out, you will not be disappointed. I am quite acquainted with Starwest Botanical products. I think it is very economical and a great one stop shop for herbs and spices. I just wanted to let others know that in my opinion, your assessment of the company is 100% correct. Thank you for the comment Claudette! I appreciate this feedback and love hearing from others who order from Starwest Botanicals. They are great company to support! I am quite the avid user of teas, herbs, and the like. I am so happy to have run across your side and have added it to my bookmarks. Do you happen to carry any herbs used in Indian Cooking? That is a hobby of mine. I can’t wait to place an order and try your products, herbs and teas alike. I love your content, very beautiful site. Attractive and welcoming. The company sure does sound fantastic….what if you live in another part of the world, does the company ship outside of the USA, Canada and Puerto Rico and what is the minimum amount for free shipping, e.g., Australia, Europe and Asia?